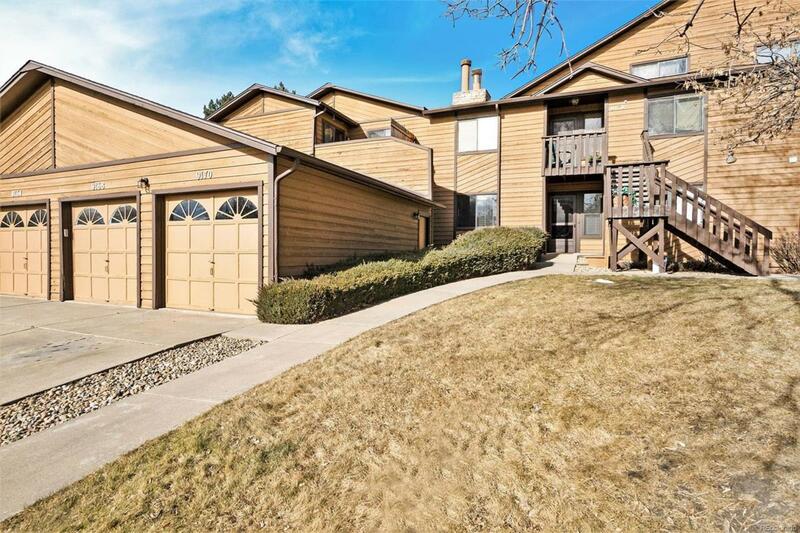 Standley Shores Condo, ground floor, end unit with covered patio, fenced back yard that leads to an inviting grassy common area.Incredible remodel (4years ago), that included a new kitchen and appliances, rock fireplace and updated bathrooms. Open floor plan along with hardwood floors, lots of light, designer tiles and paint choices. Three generous size carpeted bedrooms with a sliding door in master plus private bathroom. Ceiling fans, plus washer & dryer stay.Community has low HOA for the amenities included. Enjoy the community pool and then bar b que in the evenings off your covered patio. Fabulous location, close to grocery stores, restaurants and highways, yet serene.Third party home warranty gifted to Buyer from Seller at closing. This property shows well and exudes pride of ownership! Dont miss out!